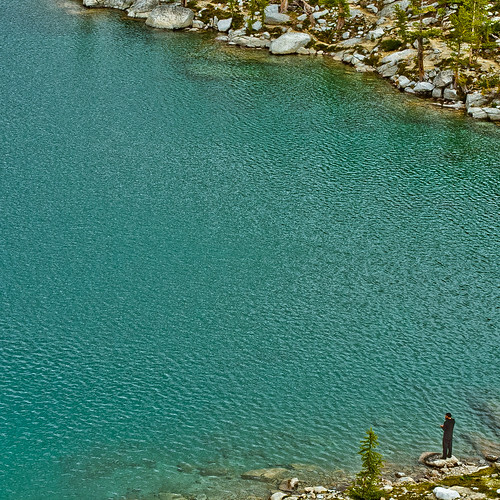 this picture basically sums up my adventure through the enchantments; the eye dropping beauty, the relax and ease of a fly fisherman, and the edges of physical limits. what was so needed this weekend was an escape from mind, from thought, from everyplace the mind seeks to go except the places it cannot; the present moment. the wonderfulness of being enchanted, is you can't be in your head. you must be in the space of feeling all the absolute beauty around you. we all must get enchanted, even if its only for a day.